Spicy Sweet couldn't be more apt here—you get loads of sweet and a nice bit of spice, but unfortunately, a lot gets lost in between those two. Back in November, I had the chance to hang out with Brad Orrison and his father, Daddy-O, at the Kingsford Invitational. True to their television personalities, off camera they were just as over-the-top, and I may have squirmed a little from some uncomfortable moments while throwing back beers and hearing stories between father and son that just would never happen in my family. 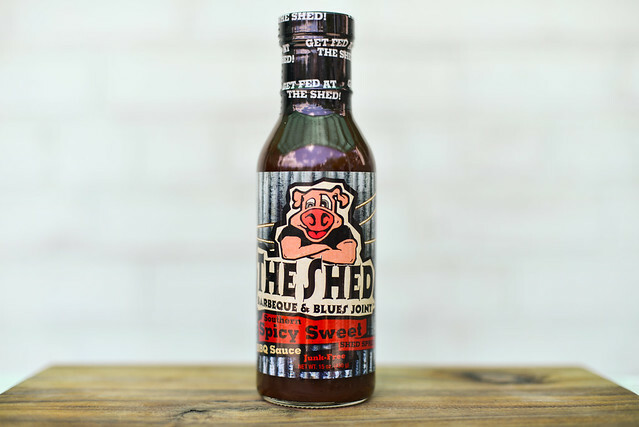 That day Brad was judging the contest and not cooking, so I've yet to sample some Shed barbecue, but since their sauces have made their way up north, I've been able to at least try those out. I first tackled their Original Southern Sweet, and this time it's the Spicy Sweet from this Mississippi-based outfit. 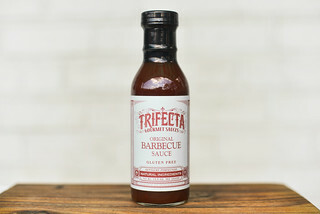 Despite the spicy label, this sauce delivers way more heavily on the sweet side in the aroma department, even more than the original. The dark brown sugar fills the nose, while tomato and a faint vinegar tang stand a few paces behind. There's a light smokiness there as well, and just like the original, has a little onion and garlic in the mix. This opaque, dark maroon sauce hits a perfect medium thickness and has a very smooth texture. Although it's a pretty dark sauce, you can still make out some spices as specs of black and red are peppered throughout. From a suspended spoon, the sauce flows quickly and in a steady stream off the silverware, slowing down to a few final drops, and finally leaving the spoon coated with a thin layer of sauce. Spicy Sweet couldn't be more apt here. The first thing that hits is a super sugary sweetness. The molasses flavor clearly makes this delivered from dark brown sugar. It takes a while for the sugar to start to back down, but as it does, a mellow vinegar tartness comes in along with the acidic tomato and a little onion and garlic. These are all fleeting though, because quickly the spice takes over, and while not incredibly hot, it's potent enough to drown out all other flavors and leave the mouth tingling. Same as the original, this sauce coated the chicken on the light side, but baked in well and developed some attractive caramelization over direct heat. After being cooked, that initial sweetness out of the jar carried the sauce almost completely from start to finish. There was very little layering, just a mild tang and touch of heat, leaving sugar the primary flavor of the final chicken leg. While the Original Southern Sweet may not have totally wowed me, I did praise its nice barbecue balance between sweet, tangy, and smoky. 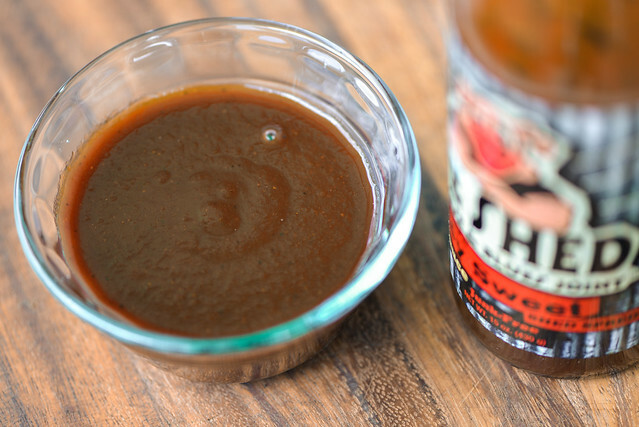 This sauce built upon that foundation, but unfortunately took the sugar a bit too far, making sweet and spicy the only real dominate flavors, losing a lot of the more nuanced layers of the original. This is not saying it's a bad sauce though—the ingredients tasted fresh and vibrant, and you can get the feeling that a good amount of thought went into building it. So in the end, it's really just one step down from the Original. 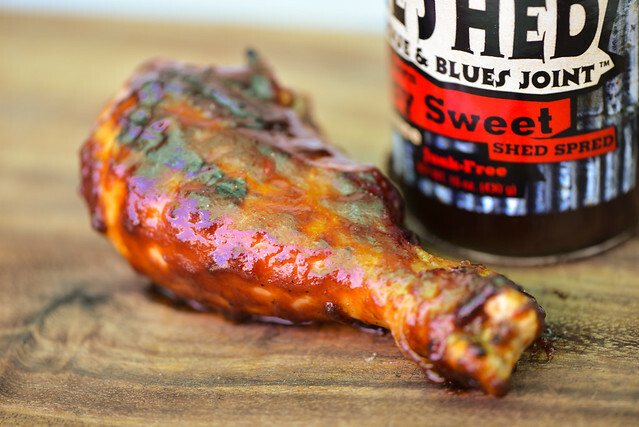 Spicy Sweet is still a sauce that will do your ribs and chicken no harm, but it won't deliver on the depth of some of the better sauces out there.